Most managers don’t demotivate their employees on purpose. They act improperly without thinking about what damage they are doing to the enthusiasm and motivation of their employees. It’s not surprising: Employees don’t leave jobs—they leave managers. How’s your employee engagement today? 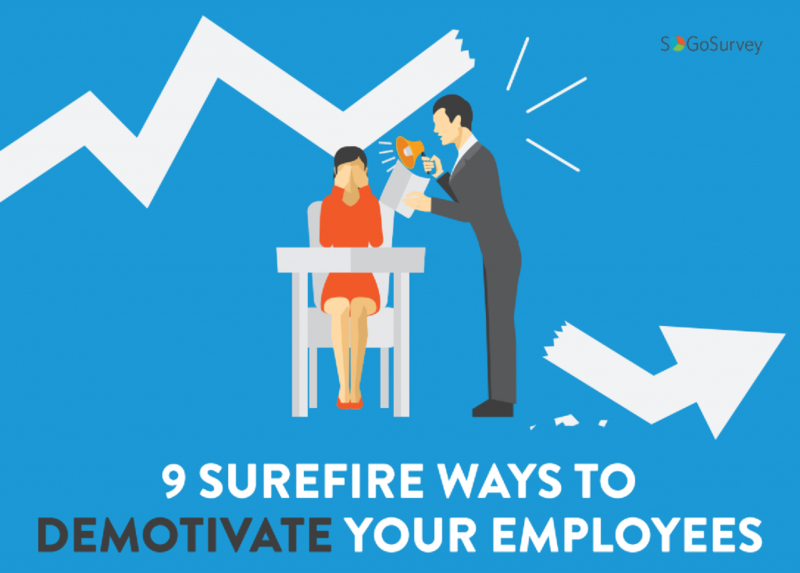 When recognition and incentive programs are designed properly and implemented thoughtfully, they can serve as great vehicles to motivate employees and reward them for their success. But, when executed poorly the fallout can create animosity, resentment, and even anger among employees. Before creating motivated, engaged employees, there are some critical behaviors that managers need to eliminate from the workplace. Click on the image below to read what truly demotivate employees and how you can avoid them to grow employee engagement.